Limit 1 per person. 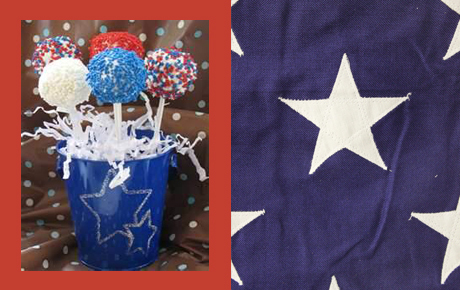 Valid on 240 individually decorated red, white and blue cakeballs. Delivery within 15 miles of Dyer available for $6; shipping to Chicagoland area available for an additional fee. Must place order at least 2 business days in advance. Add some colorful sweetness to your Independence Day celebrations with 50% off 240 cakeballs from Cream & Crumbs ($400 value). These individually decorated cakeballs can be delivered within 15 miles of Dyer, Ind., or shipped throughout Chicagoland. These fun and delicious cakeballs will be coated with red, white and blue frosting for a festive addition to your party spread. Choose five flavors from nine tantalizing options such as crushed red velvet, dark mint chocolate, lemon crush and so strawberry. Cream & Crumbs makes all their cupcakes, cakeballs and cake pops from scratch for scrumptious, one-of-a-kind flavors. Ensure your 4th of July party is the best on the block with this sweet offer.